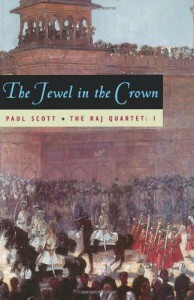 well, this book is intense.with the colonial backdrop,this book harbours a love story.this book is all about daphne and hari.although the protagonist arrives late in the story,the way in which story builds is fabulous.there are lots of character in this story and every one is described in detail. this book is all about the incident at bibighar gardens and the whole story revolves around it.right from the beginning till to the end. also this book has a slow pace but a interesting read for contemporary arts lovers.